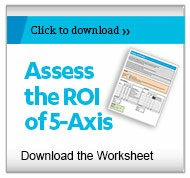 Why should you invest in 5-Axis? About 20 years ago, shops were wondering why they should switch from manual mills to CNC. The scenario for investing in 5-axis machining technology is similar. Those who didn’t switch to CNC eventually got left behind. With any business, investing in the latest technology is a requirement to stay on top and compete effectively. 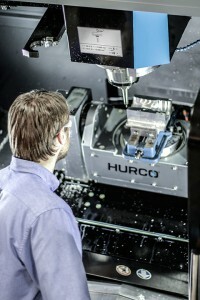 Often, there seems to be confusion due to the term “5-axis” machining center. Shops think they don’t have 5-axis work. Every shop has work that would benefit from a 5-axis machine because a 5-axis machining center facilitates 5-sided machining. So, even if you don’t have simultaneous 5-axis work, such as impellers or turbines, the parts you are producing on your 3-axis machines will be more profitable when you use 5-sided machining on a 5-axis machining center. 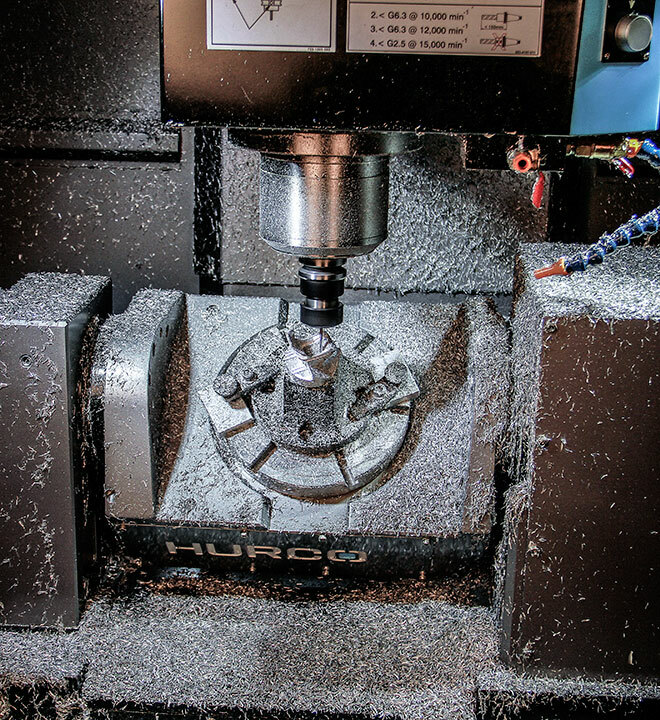 There are pros and cons to both 5-sided machining and Simultaneous 5-axis machining. Even though 5-axis machining is impressive to watch, it is slow. If you can create a part with 5-sided machining instead of simultaneous 5-axis, you should. Mold work is an instance where Simultaneous 5-axis is a worthwhile consideration, depending upon the mold. Manufacturing molds on a 3-axis machining center has limitations, especially for deep cavity molds or tall core molds. While you can use a 3-axis machining center for mold work, long, skinny tools are necessary if you have a deep-cavity mold. With long, skinny tools, you have to slow down the feedrates to minimize chatter and prevent tool breakage. Often, you can’t achieve the quality of surface finish you need using 3-axis machining for mold work. For fine finishing operations, especially on small diameter molds, 3-axis machining can make the process more difficult than it needs to be. With simultaneous 5-axis machining, you can use shorter, stouter tools, which means you can push faster with increased feedrates. Using simultaneous 5-axis machining for mold work means you can take heavier cuts and z-depths aren’t a problem. All of this results in shorter total machining time.